The CEO of Hilton Worldwide, Chris Nassetta, traveled to Roanoke Wednesday to be on hand for an announcement about one of the region’s oldest and most venerated hotels. The 134-year-old Hotel Roanoke & Conference Center will be joining Hilton’s newest brand, Curio, and will be the brand’s first hotel under that name in Virginia on Feb. 28. Built in 1882, the Tudor-style property retains aspects of its 1939 reconstruction, including marble floors and walnut paneling. Other unique hotel features include decorative murals of historical Virginia events and artwork from local and regional artists. Designated as a National Historic Landmark, the hotel also is part of Historic Hotels of America and has hosted notable celebrities and dignitaries for well over a century. The hotel’s long-time general manager, Gary Walton, will continue to lead the property’s staff. In addition to its rebranding, another change is that the property, owned by Virginia Tech Real Estate Foundation, is now under the management of Benchmark Resorts & Hotels. The Houston-based based company also manages the Inn at Virginia Tech and Skelton Conference Center on the university’s campus. 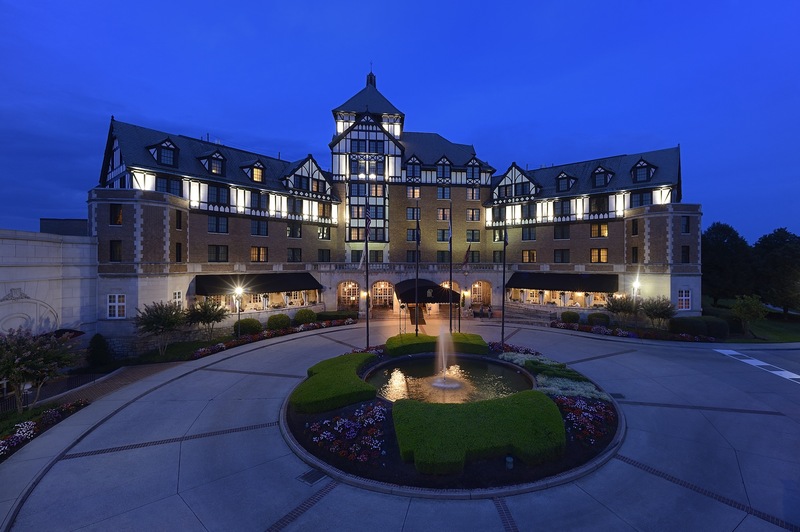 The Roanoke hotel is connected to a 63,000-square-foot conference center, and offers many amenities, including complimentary Wi-Fi, valet parking, complimentary shuttle service, an electric vehicle charging station and a fitness center. It also offers in-room spa services and a seasonal outdoor swimming pool with a year-round hot tub. The announcement of the brand change to Curio comes on the heels of region-wide, increased occupancy rates recently announced by the Roanoke Valley Convention & Visitors Bureau. Virginia's Blue Ridge lodging properties experienced a record 9.4% increase in room revenue during calendar 2015 and a 6.2 percent increase in number of rooms rented, compared to 2014. The upgrades and renovations on all guest rooms at th Hotel Roanoke began in November. They are expected to be complete by June. The renovations have been done in stages, so there would be no disruptions for guests, said Quonce.